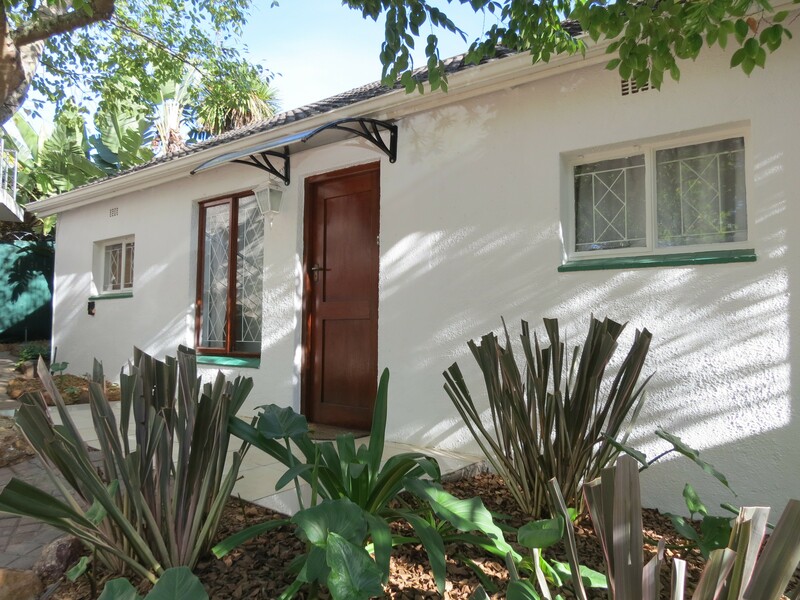 1 on Ross offers 3 superior cottages in Grahamstown (Makhanda) self-catering or B&B. 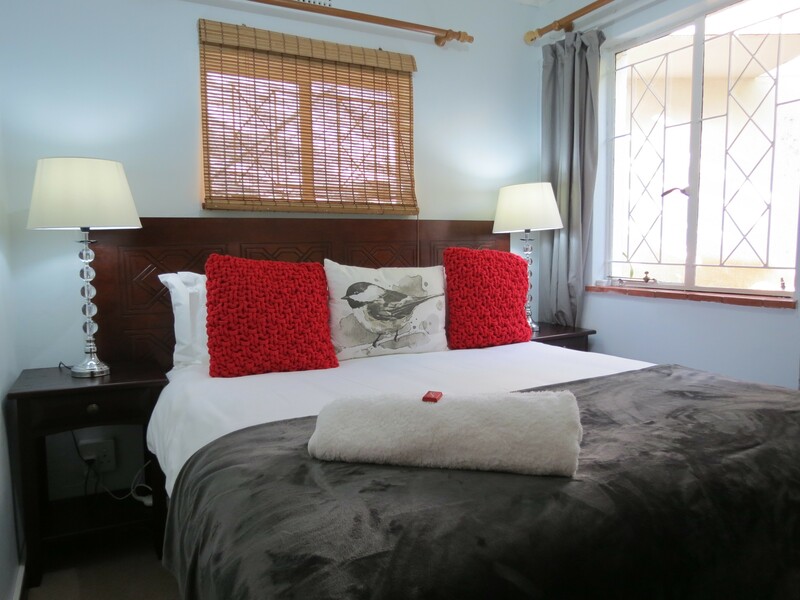 We pride ourselves on having spotless rooms in a quiet setting. 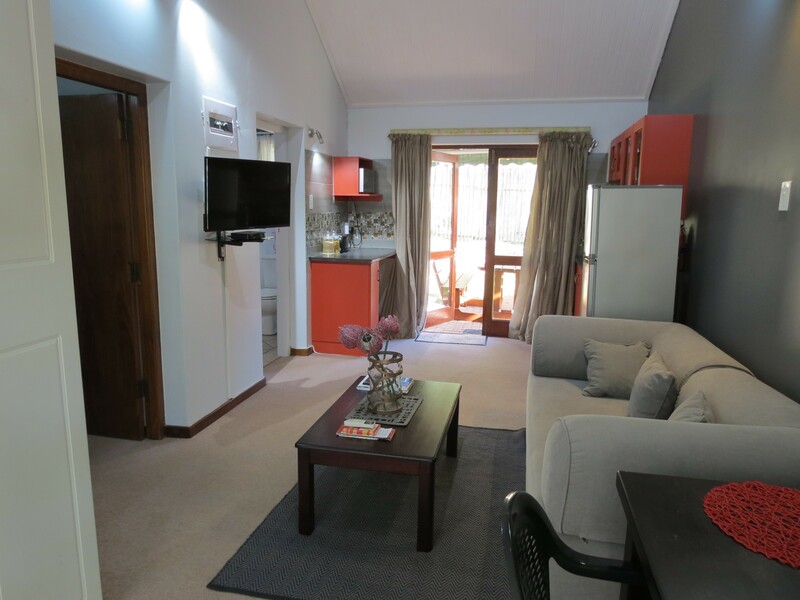 Wi-Fi, DSTV, air conditioning, heating, safe parking and more. Why not give us a try! The Cottage offers its own private garden. It consists of a separate carpeted bedroom with queen bed and full bathroom. There is a king size sleeper couch (or breaks into two single mattress beds) in the lounge area. 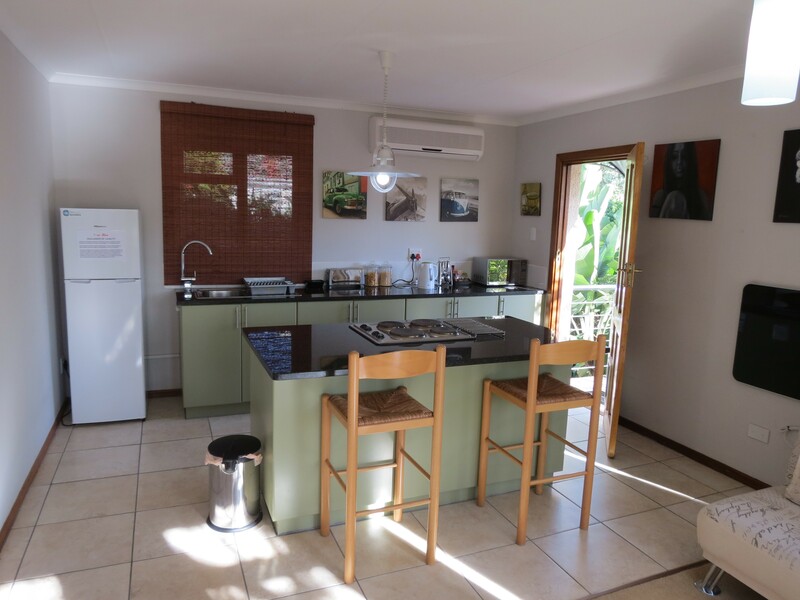 It is set up for semi-self-catering with a well-equipped kitchenette comprising full fridge/freezer, microwave, kettle, toaster, table and chairs, etc. 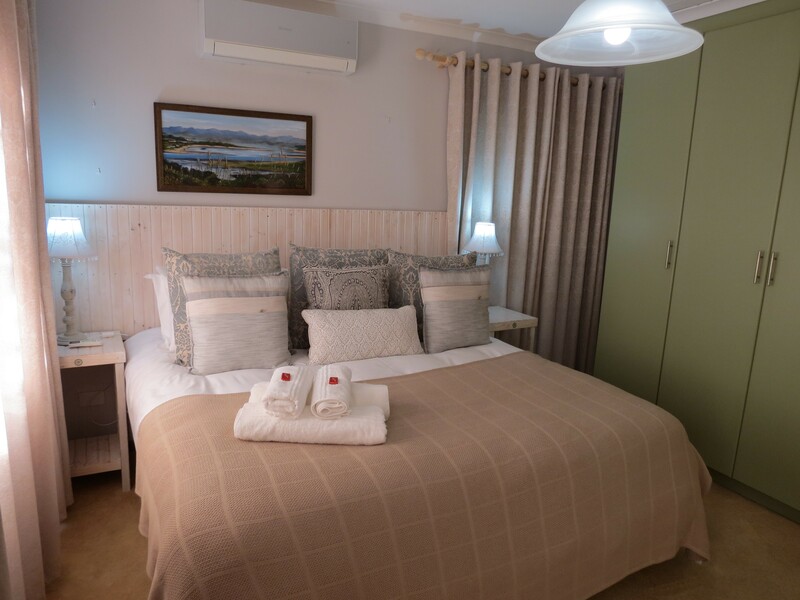 Air con will keep you cool in summer plus heaters and electric blankets available for the chilly months. 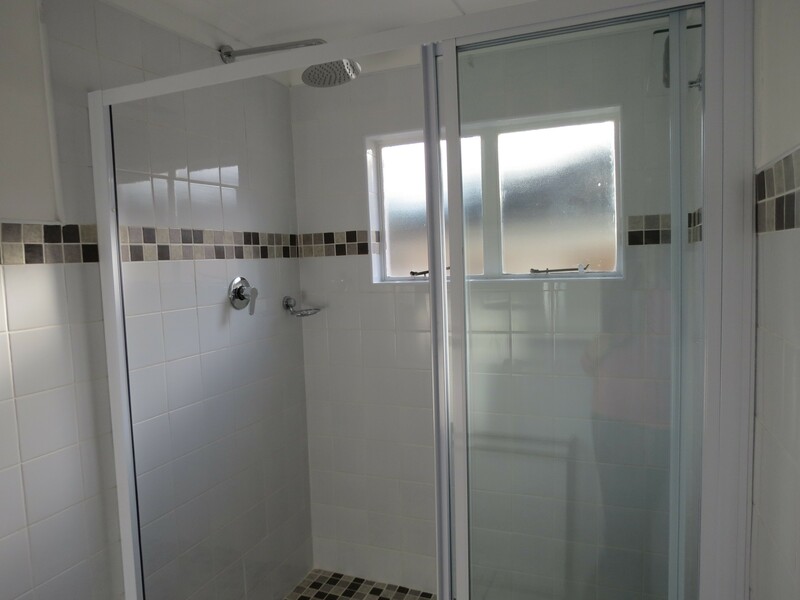 The Single Unit offers fairly basic accommodation for a single person. 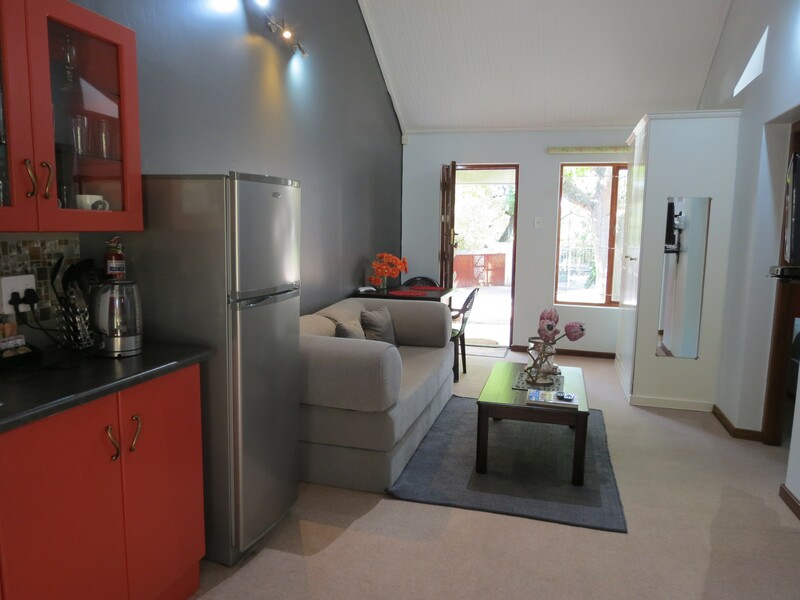 It has a single bed, table with chair and small kitchenette with bar fridge and microwave oven. There is a bathroom with shower and separate toilet. 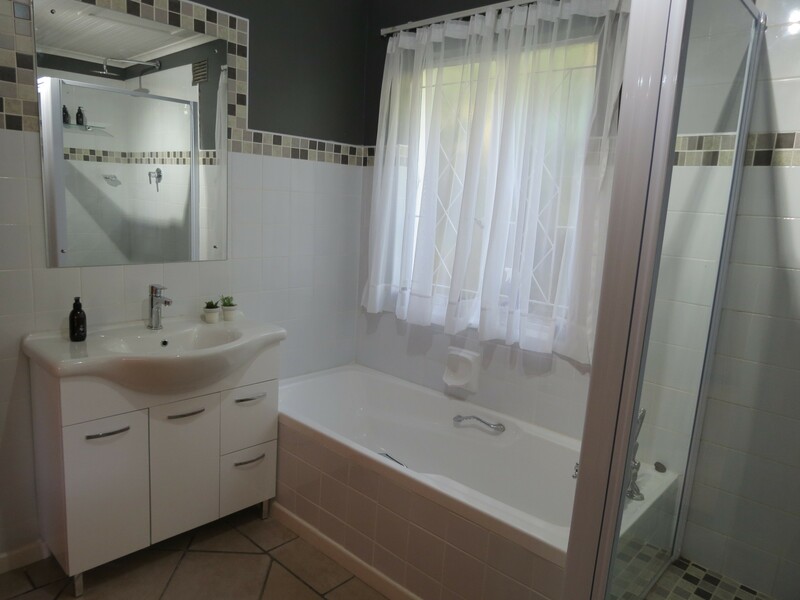 It is adjacent to the larger cottage and suitable for an extra adult or child. 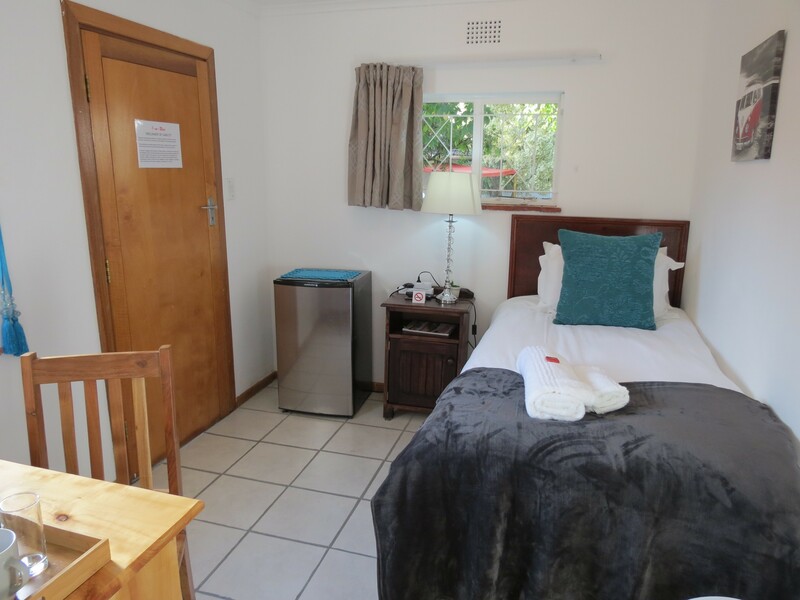 The Flatlet is up a short flight of stairs and consists of a separate carpeted bedroom with a king-size bed (or twin beds) and a separate full bathroom. There is comfortable lounge seating which opens out into two double-sleeper couches. 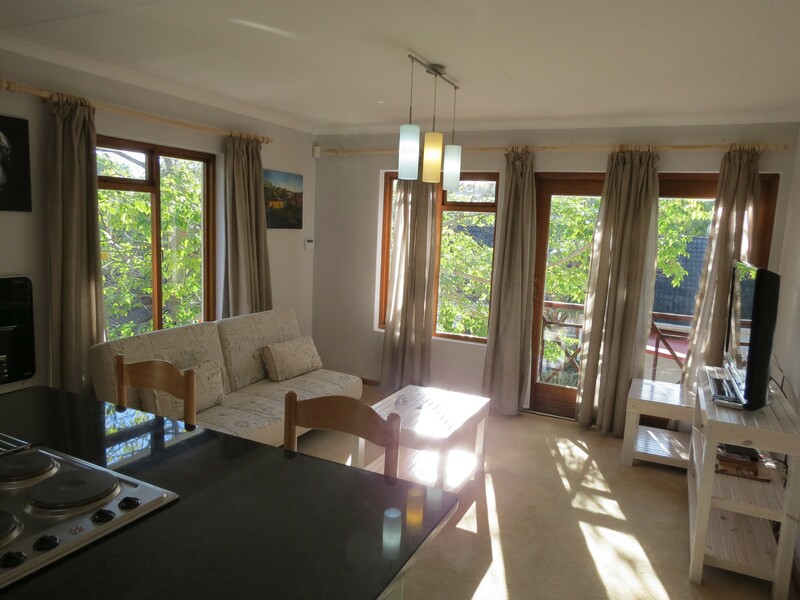 A well-equipped kitchenette with hob, oven, full fridge, microwave, kettle, toaster, etc. offers a self-catering option. 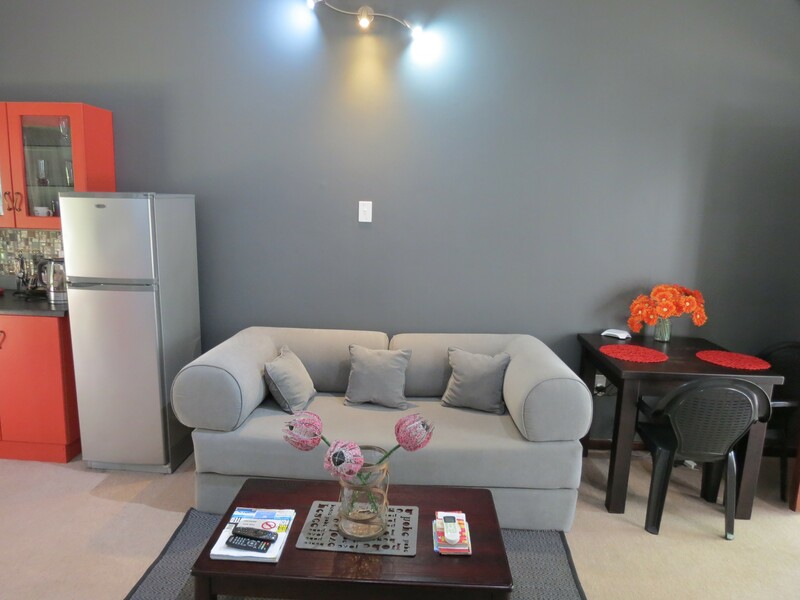 Air-conditioners in the lounge and bedroom, heaters and electric blankets are available. Teas, coffee, milk and a choice of 3 cereals are provided. Breakfast is available in the cottages on request. 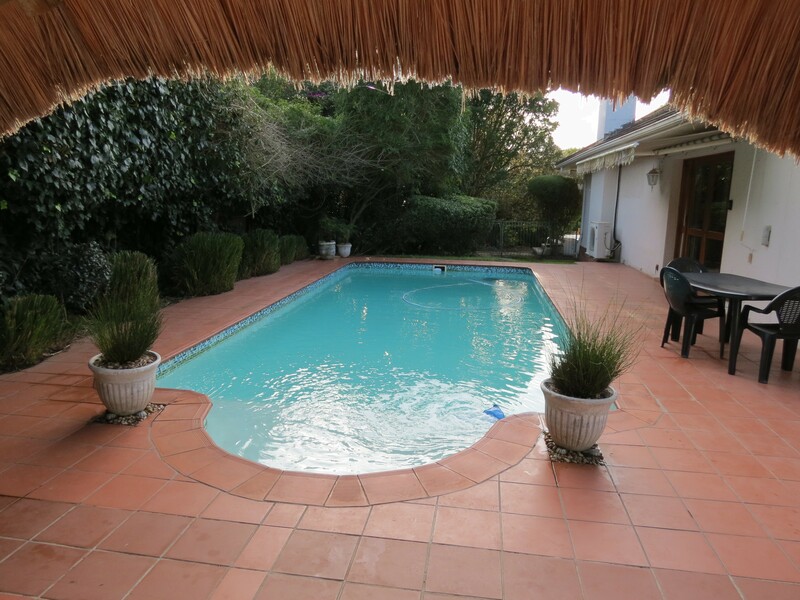 Guests are welcome to use the swimming pool and braai facilities. 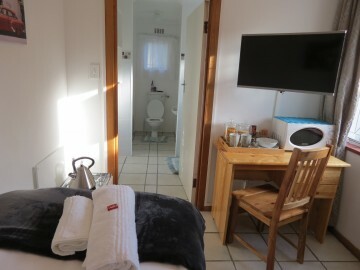 All units have DSTV on flat screen FHD TVs. Complimentary Wi-Fi internet is available. Serviced daily. Secure off-street parking with remote access is provided. 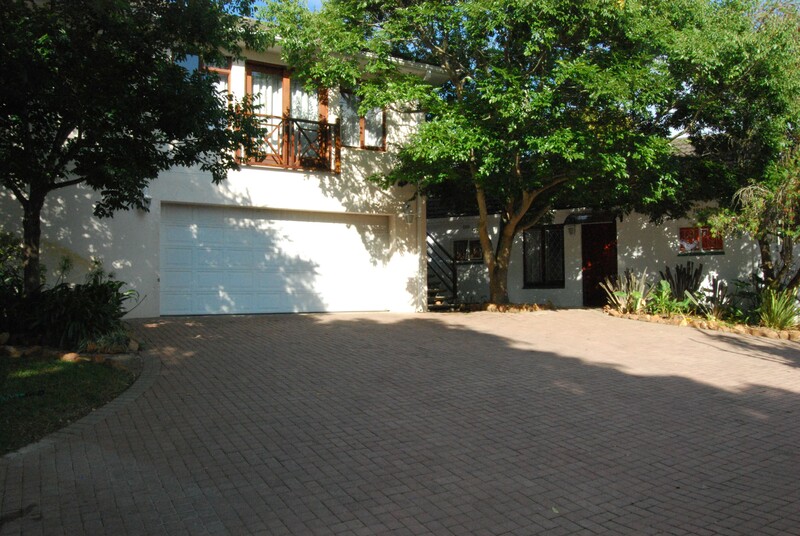 Conveniently situated close to private schools and Rhodes University.